The Lowest Pair – Fern Girl & Ice Man – Album Review | The Ark of Music – The best music in the world…you never knew existed. There’s no way to accurately describe the unseen mystical cloud of sonic magic that The Lowest Pair create and emit together. Recently, I had my first live experience with this sultry yet humble duo. To be blunt, the show was transfixing. 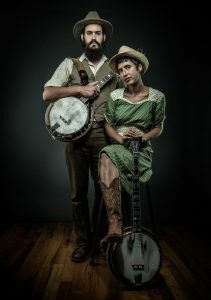 The Lowest Pair, consisting of Kendl Winter and Palmer T. Lee, officially formed in 2013 after meeting on the banks of the mighty Mississippi River while on a festival circuit. 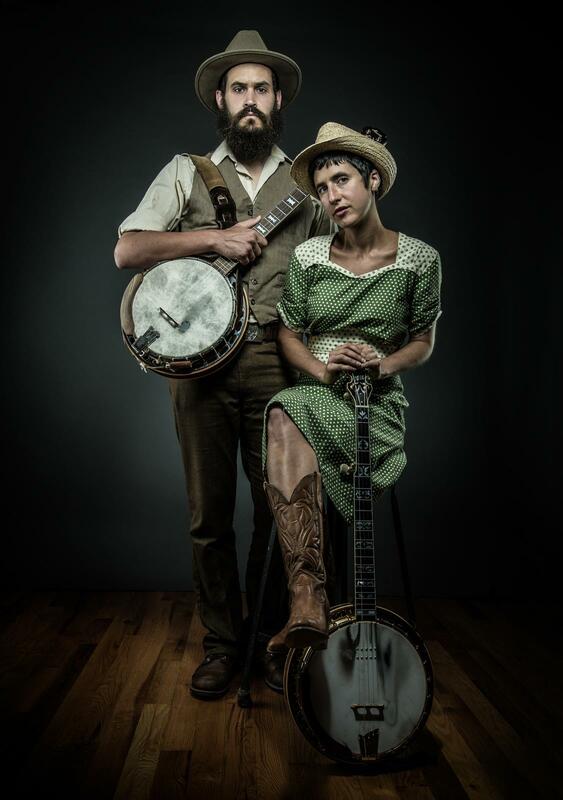 Both of them, students of traditional banjo and Roots music, have clearly found a relationship in one-another that has allowed for an infinitely expansive collaboration—a creative explosion if you will—with no signs of settling dust…we hope. Currently, the duo is simultaneously supporting the release of their 4th and 5th albums. To answer your next question, no, this is not a double album. The two pieces of work, titled Fern Girl & Ice Man, and Uncertain as it is Uneven are absolutely—and intentionally—independent bodies of work. As Palmer himself described it, “It’s not that the two records have to be next to and with each other, it’s just that it’s all there, our current story, and the stories we’re figuring out.” Regardless of the reasons or explanations, we at The Ark of Music could not be more thrilled that we get to bathe in the sonic waters of not one, but two new projects by The Lowest Pair. Fern Girl & Ice Man opens with the haunting The River Will. The song itself begins with a brief a-cappella intro. Soon the two are picking away at those banjos, dancing and diving, hovering and flying, waiting and striking. They’re in the same room, playing the same song, and yet, universes lay between them and the music they play individually. Waiting For The Taker, is a spell-binding, almost psychedelic ballad. Tethered by a simple tambourine, the duo’s banjos dance together and apart once more. Kendl’s vocals are layered, delayed and harmonized. The experience is a musical display of the best that the new world, and the old, have to offer. Don’t think for a moment that this deep, dark and beautiful alt-country-folk music is not relevant to the “modern” day. For, within Fern Girl & Ice Man Kendl and Palmer have successfully framed the crises of modern culture with the wrapping and bow of an old-west décor. This type of contrast is what makes them, dare we say…great. 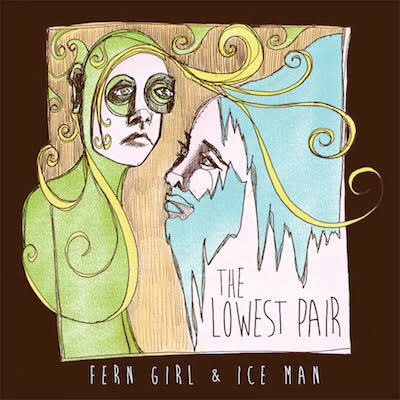 Below, you can listen to The Lowest Pair’s album, Fern Girl & Ice Man, connect with them on their website and social media platforms, watch their music video, check out their live show/tour schedule, and find their booking & contact information. Please support The Lowest Pair by visiting them online, and playing, downloading, and/or purchasing their music. And, as always, thank you for supporting real music!